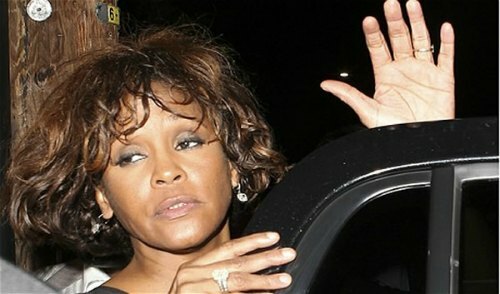 The room in which Whitney Houston passed away in has been turned into a broom closet, according to new reports. The legendary singer, who passed away in February 2012, had been staying in Room 434 at the Beverly Hilton Hotel in preparation for last year’s Grammy Awards but she never made it to the event, losing her life just one day before the bash. Nearly one year later and the room has now been changed into a broom closet — maybe because too many people were getting freaked out on staying in a room where a troubled celebrity slept and died… perhaps they thought her spirit was still there (because it’s not exactly impossible for something like that to happen, is it?). On Sunday evening’s Golden Globes after party, the staff were super-busy providing everything the celebrities needed. An onlooker who was present at the awards show had said that when he passed Room 434 – where Whitney had died – he noticed that it was filled with brooms and cleaning equipments as opposed to seeing a luxurious room. Along those lines, it was also mentioned that the rooms near number 434 were being used as restrooms for A-list stars like Anne Hathaway, Hugh Jackman, Robert Downey Jr. and Jimmy Fallon. Guessing they didn’t seem too bothered on using a bathroom near Whitney’s death room, but we kinda would be freaked out about it! But then again, we’re sure there was no other option than to change Houston’s death room into a cleaning equipment section, considering thousands of people were packed in the Hotel on Sunday evening. Hollywood Hiccups Is Hiring Writers & Television Recappers!